The mosquito is the most dangerous creature on the planet because of its uncanny ability to carry and transmit debilitating viruses. If all goes right, genetically modified mosquitoes will come to our rescue as a biological Trojan Horse, eradicating deadly mosquito populations from the inside and stopping the spread of mosquito-borne diseases like Zika and malaria. However, releasing genetically tweaked insects into our world is not without risk. When an ecological vacuum is created, alternative species can sneak in. 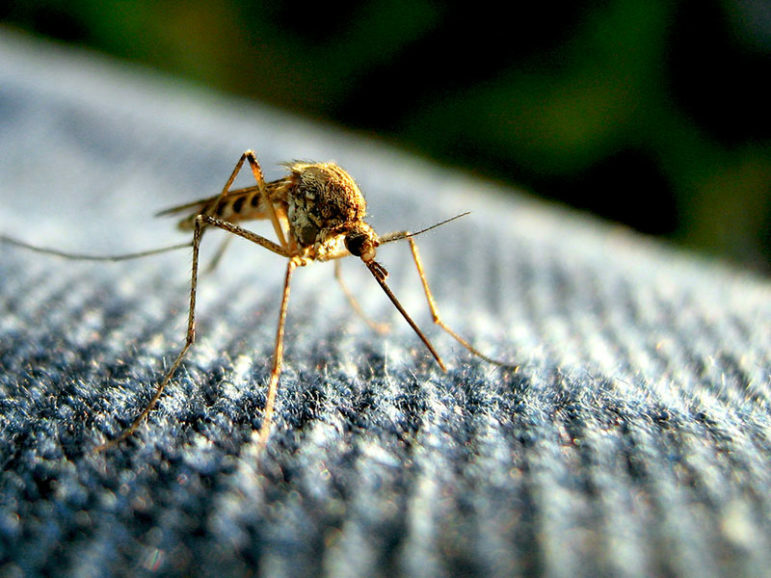 While others debate the consequences of this proposed solution and the ability of the science to scale up, the Bill and Melinda Gates Foundation is doubling its funding to advance CRISPR gene editing to create the mosquito-killing mosquito. At a Forbes 400 Summit on Philanthropy in New York this past June, Gates said this technology will be ready for deployment within two years despite the regulatory and legal path for this new science being “unclear.” Regalado reports that researchers including those at MIT contend that gene-drive research needs to be more transparent and accountable to the public. In a report earlier this year, the National Academies of Sciences, Engineering, and Medicine in Washington, D.C., said gene drives were not yet ready for environmental release, but laid out steps that should be taken to test them safely, recommendations the Gates Foundation says it will follow. Some conservationists are among the advocates for this new genetic extinction technology. Over the weekend, during the world congress of the International Union of Conservation of Nature in Hawaii, the nonprofit Island Conservation announced it had started a project to genetically engineer mice so they only produce male offspring. The group believes gene drives will be a way to wipe invasive rodents off islands and archipelagos, where they prey on birds and lizards. Other researchers hope to eradicate mosquitoes from Hawaii in order to save the island chain’s remaining native birds, which are succumbing to the avian form of malaria. The implications for the environment, food security, peace, and even social stability are significant. Dealing with this run-away technology is already being compared to the challenge of governing nuclear power. Existing government regulations for the use of genetic engineering in agriculture have allowed widespread genetic contamination of the food supply and the environment. Given the current feeble restraints on existing genetic engineering technologies, how would anyone be able to assess the risks of gene drives? Would the public be informed and have a say in how they would be used? And if an accident were to occur, given that the damage would be massive and irreversible, who would be held accountable? We are losing the war against the mosquito. Many see this new technology as a unique opportunity worth pursuing. Others counter that the risks far outweigh the hoped-for benefits and that even exploring this science any further is a crime against nature and humanity. An argument could be made that we are facing this dilemma today because the world stopped fighting mosquito-borne diseases in the 1960s when they no longer threatened countries outside of Africa. The large-scale use of the toxic insecticide DDT was successful, and complacency took hold. Now, we have Zika in Florida, and the Republican-backed federal spending bill that would have provided $1.1 billion to fight the mosquito-borne Zika virus remains stalled in Congress. A Democratic version introduced in February that would spend $1.9 billion is similarly stalled. This $76M outlay from the Gates Foundation to repay a loan accrued by the Nigerian government to finance polio eradication is notable not just for its size, but its human value. Five years ago, Nigeria had half of all polio cases worldwide; last year, there were no reported new cases at all.